Our Luncheon Meeting took place on February 20, 2019, at Gregory Gym Games Room. 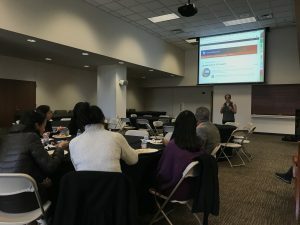 Our invited speaker, Erika Frahm, from Office of the Associate Vice President for Human Resources, presented Lynda.com and self-learning professional development opportunities available for current students and staff. A lunch from “Be More Pacific: Filipino Kitchen” was served.